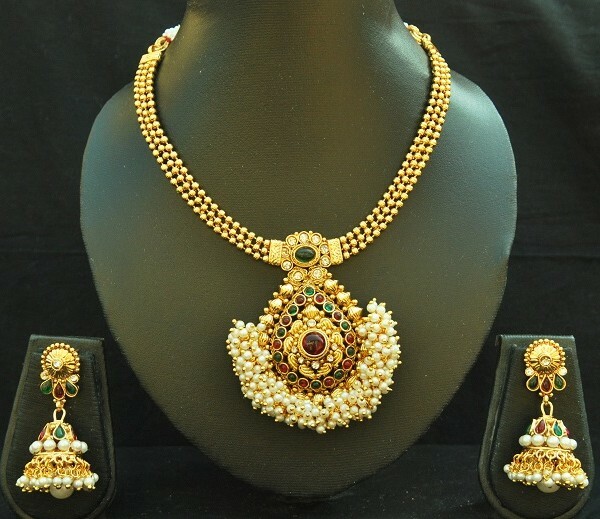 Dazzle this wedding season with Reeti Fashions -Designer Copper Traditional Necklace set with Ruby & Emerald with Jhumkaa. 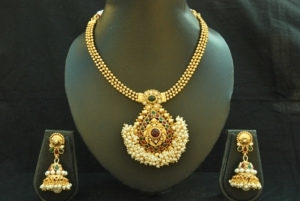 This copper Jewellery studded with pearl comes with Ruby & Emerald colour. 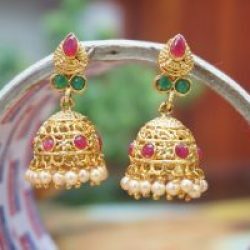 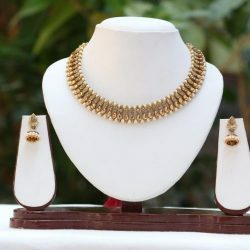 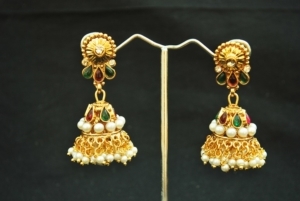 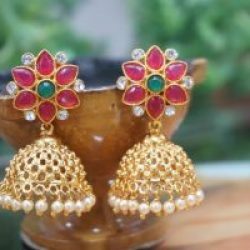 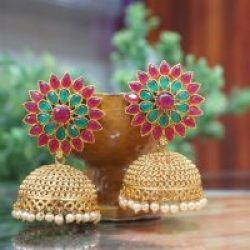 This jewellery comes with long & beautiful jhumkaa.